Investing in gold can help maintain the value of your investment portfolio as a hedge against economic pressures like inflation. You will find gold investing options to meet just about any level of risk tolerance or available funds. Whatever method you choose to invest in gold, learn about tax implications and understand how the type of investment you prefer fluctuates in response to market conditions. You can buy physical gold from a variety of gold and precious metals brokers who sell the gold in the form of coins, bars and bullion. While owning actual gold sounds thrilling, storing it in your home can be a safety issue if anyone learns you have the gold in your possession. A relative or friend may mention to others that you have gold in your home, which can lead to theft. Gold storage companies securely store your gold for a fee or a small annual fee. Look for a dealer offering free shipping and compare offers from multiple brokers to see if you can reduce costs and increase your profits when you sell the gold. Pro Tip: Buying physical gold is best for protection against economic downturns and balancing a long-term portfolio. You can buy physical gold while reaping tax benefits by setting up a Gold IRA. Many gold brokers have Gold IRA programs with specialists who are ready to assist in the process of setting up this self-directed IRA. Gold IRA specialists ensure you buy IRS-approved gold, help you with completing a Gold IRA rollover and provide other assistance while you make all final decisions. Gold IRAs hold physical gold, which must be stored by a facility approved by the IRS. You can buy more gold to add to the IRA but you can’t sell without paying taxes and penalties until you reach age 59-½. You are required to take minimum distributions from a Gold IRA once you turn 70-½ years old. Pro Tip: Gold IRAs are best for a portion of a retirement investment portfolio with a long-term horizon. Another way to own physical gold is by investing in Gold ETRs from the Canadian Gold Reserves Program. You can trade Gold ETRs on the Toronto Stock Exchange (TSX) through several U.S. brokerages in Canadian (MNT) and U.S. (MNT.U) dollars. The gold receipts are proof you own physical gold bullion held at the Royal Canadian Mint. You pay a monthly fee equal to an annual rate of 0.35 percent. The purity of the gold an ETR represents is guaranteed to be at least 99.9%. You can redeem your ETRs for gold bullion or cash once a month, and the minimum redemption is 100,000 ETRs. However, there’s no need to take possession of the gold with ETRs. When you’re ready, you can sell your certificates on the Toronto Stock Exchange. Pro Tip: Gold ETRs are best for short- to mid-range investment timeframes and trading on the TSX to avoid the constraints and fees associated with redeeming receipts for gold. Companies mining in remote areas of the world have higher expenses which can reduce profits. Geopolitical influences or social unrest in some gold-rich locations put a halt to mining operations for a time. When considering gold stocks, buy into financially stable, quality companies with contracts for future mining projects. You can also look into stock sold by companies involved in processing gold, which may have somewhat less potential for volatility. Gold stocks usually follow gold prices but can regress while gold prices climb when the economy falters. Pro Tip: Gold stocks are best for long-range investment goals without regard for dividend income, which is typically non-existent or very slim for gold stocks. An exchange-traded fund, commonly known as a ETF, is a basket of stocks sold on the stock exchange throughout the day. A Gold ETF may be backed by physical gold assets or could track the price of gold using futures. Many Gold ETFs hold derivatives and options, with gains taxable at the collectibles 28 percent rate. The ETF is the one gold investment you may not want for the long term as fees eat away at profits, depending on the ETF. Given the range of investments a Gold ETF may hold, take the time to understand the ETFs you’re interested in, and consider taxes and past performance. Pro Tip: Gold ETFs are best for a more sophisticated investor with a well-rounded portfolio, possibly interested in short sales. 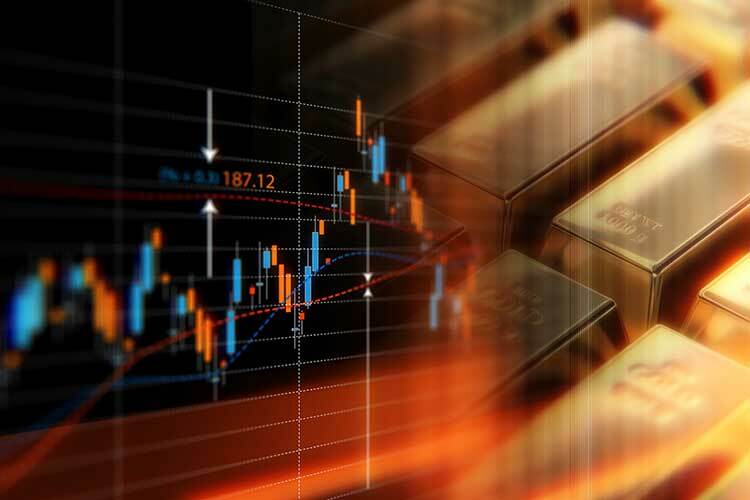 Gold mutual funds may invest in any mixture of physical gold assets, precious metals processing stocks, other precious metals or gems, and domestic and foreign gold mining company stocks. Determining which gold fund to invest in takes a bit of research so you can choose a fund that meets your financial objectives. Some gold funds hold almost all physical gold and effectively track gold prices. Some focus on emerging gold markets and can be lucrative over time. Others hold a percentage of investments in diamonds, silver and other precious metals and minerals. Choose a gold fund with a level of foreign company exposure you’re comfortable with, and take a look at past performance of the mutual fund compared to the overall market. Buying shares in a gold fund can expose your portfolio to the benefits of investing in gold at a low cost. Look for no-load funds or low-load funds with expense ratios under one percent. Pro Tip: Gold funds are best for those who take the time to find a fund in sync with their risk tolerance, as a long-term investment. An ETN is an exchange-traded note, and this instrument combines some aspects of ETFs with bond securities. Gold ETNs may track a gold index or may move opposite of the value of gold, which is useful for the contrarian investor. Like buying non-interest bearing bonds, a bank issues Gold ETNs with a maturity date. When the ETN matures, the bank pays the investor back with a profit depending on gold futures. With great risk comes great reward, and Gold ETNs can pay a handsome return. However, you also can lose your entire investment. Pro Tip: Gold ETNS are best for short-term trading, shorting the gold market or those who have a high tolerance for risk and the funds to back it up. 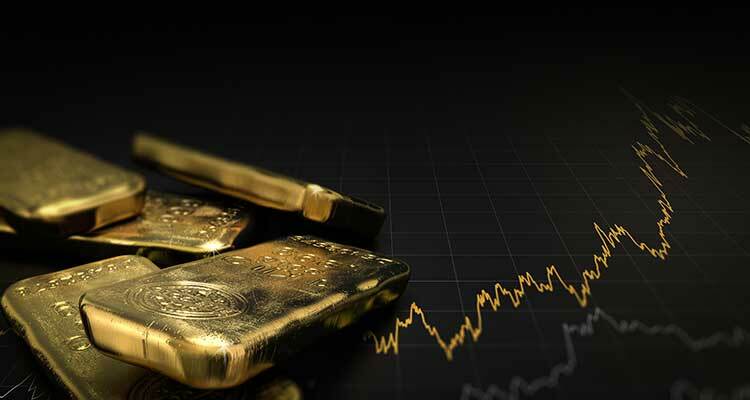 There are ways to invest in gold whether you are looking for a hedge against the economy, growing your retirement portfolio, or possibly getting in on a short-term payoff. Regardless of how you choose to invest in gold, be prepared to do a few hours of research or consult with a financial advisor to ensure your gold investment method compliments your financial goals. *This article is not investment advice and the information within is for general education only. Neither the author nor the publisher assumes any liability or responsibility for investments the reader chooses or the performance of investments. The facts may change depending on business entities, economic influences or other factors.